The pressure you should run your tires at has been a topic of debate for a while now. Should tires be thin or wide? Should you run low or high pressure? Do weather or road conditions matter? 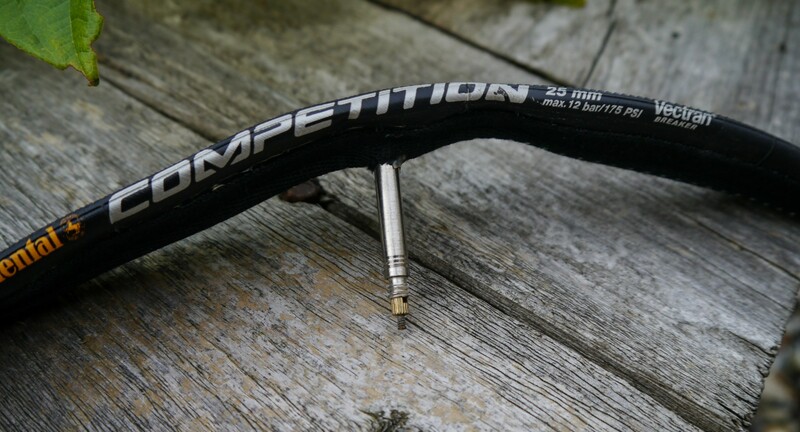 All these factors affect the rolling resistance and, as a result, the speed of a tire and they all also play a bit part in the comfort of your ride which means they’re actually rather important. 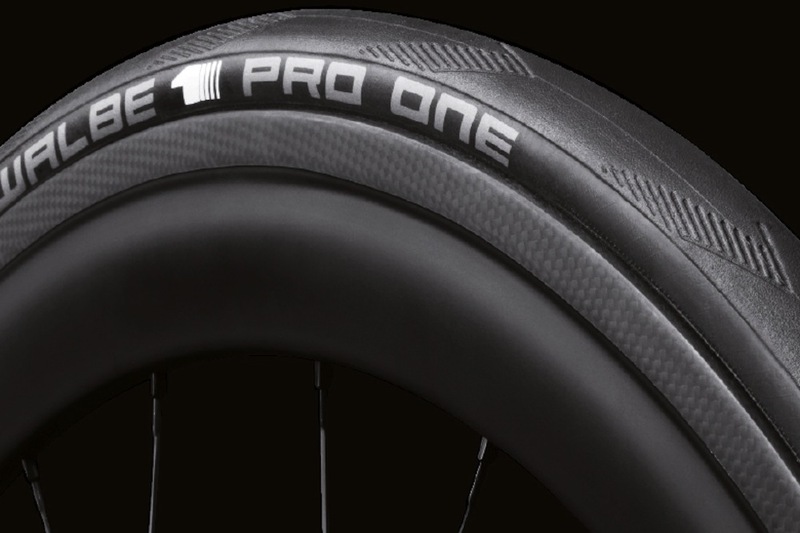 Plus, it’s well known that the majority of the pro peloton are choosing to roll on 25mm tires or larger now, so there must be something to it, right? So why has there been so much debate about tire pressure? Well, basically, because it’s both rather important and one of the key factors in determining ride quality. What that means is that checking your tire pressure should be an important part of your pre-ride ritual, not a cursory squeeze of the tires just before you set off. Similarly, under-inflated tires can be damaged. “If inflation pressure is continuously too low, premature tire wear is the result,” explains Schwalbe’s Dave Taylor. “Cracking of the sidewall is the typical consequence. Abrasion is also unnecessarily high. But, on the other hand, an under-inflated tyre absorbs shocks better. “The ‘right’ inflation pressure depends mainly on the load exerted on the tire. This is mainly influenced by the [weight of the] rider. As opposed to a car tire, the vehicle weight is only a very minor part of the total weight. The narrower the tire and the higher the overall load, the higher necessary inflation pressure.” With that in mind, a heavier rider will need comparatively more air in their tires than a lighter rider, and finding the right level requires a little experimentation. The relationship between pressure and rolling resistance is actually more complex than it seems on the surface. Just because wide tires offer the ability to be run at lower pressure with the same rolling resistance, doesn’t necessarily make them the ideal choice for each and every scenario. One element that many bike brands have been taking into account recently is how the width of the tire integrates aerodynamically with the frame. Previously in, for example, a time trial bike the norm was to install the thinnest possible tires because they have the smallest frontal area. But now, the aerodynamics of a bike as an entire system is the key concern – just look at Trek, Specialized and Scott’s new aero road bikes – and it’s possible narrow tires may leave too large a gap between tire and frame creating unwanted turbulence. Similarly, tires that are too narrow on modern wide rims can disrupt the airflow around tire and rim. Unfortunately, what all this means is there isn’t a ‘one size fits all’ solution (in both the literal and metaphorical sense) to the question of tire pressure and width. Wide tires run at the same pressure as narrower tires will have a low rolling resistance for said pressure, and offer the added bonus of greater comfort too. On the other hand, narrow tires at high pressure have the added bonus of having lower overall drag at high speeds than wider tires and have the bonus of requiring less energy to accelerate as they lower the rotating mass of the wheels. What it means is both can have a place depending on the goals you wish to achieve. If you’re in a tight circuit crit race run on relatively smooth surfaces, you might want the lower weight of narrower tires. But if you’re out training, especially on poorly surfaced country roads, the added comfort of wider tires and the lower rolling resistance over the course of a long ride might be what you’re looking for.